Our first wave of certifications have been released after the drop of the qualifications. Christmas Special, Closed for Christmas & Plans for the New Year! As we close in on the end of the year we are approaching the time when many of us will be away or busy with friends and family, as such the last Official event of the year will be our Christmas Special next Tuesday 17th of December. There will still be training for SWORD, WOLF and other smaller things happening however so do stop in over the Christmas period to see what's happening! After the success of our Halloween event created by Setkiro back in October we thought that it would be only natural to follow it up with a Christmas themed one. As such we asked Setkiro if he would mind working on something again, no easy task when you're stationed on a mediterranean island during war time with not a snowflake in sight. Setkiro's Christmas Special is set to be a fantastic night of festive fun and a great way to send out the year with our final mission of 2013. Don't forget to head to the sign up thread and put your name down for a slot! So, what's coming up next? Firstly welcome to the new Reach Elite Forces website. Built from the ground up and catering exactly for our needs as an ARMA 3 community, this new site is a great foundation for our future plans with Reach Elite Forces. You may at this point be wondering why we have gone our separate way from Forgotten Honor. Reach Elite Forces, since it's inception this summer, has grown rapidly and has arrived at the point where we have a solid player base (that's you guys!) who turn up consistently and show passion for not only the game but the growth of the community as a whole. 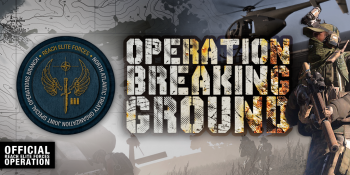 Operation Breaking Ground now available on the Steam Workshop! As our first Campaign at Reach Elite Forces draws to a close we are making the first of the trio of operations available for public consumption. 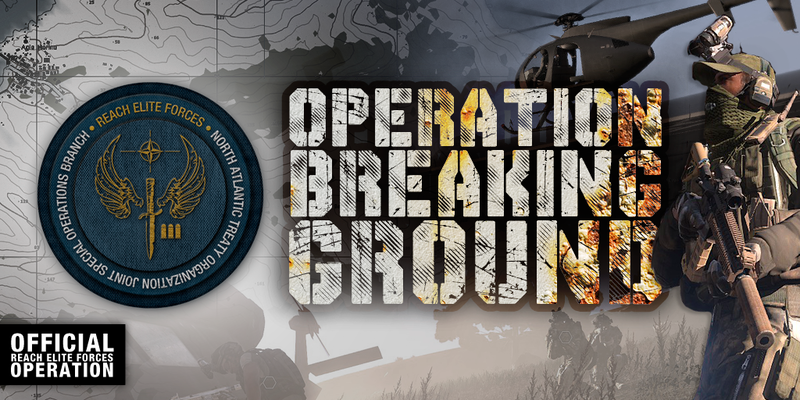 This takes the form of Operation Breaking Ground, a crucial point in our dynamic storyline and a fantastic place to begin as we near the release of ARMA 3 and it's new island playground of Altis. For those unfamiliar with the story or who need a quick catch up, read on.